Researchers say they’ve found the earliest known evidence of a human presence outside Africa. But we don’t know for sure which species of human relative made them. Humans left Africa at many times during their history. Living people outside Africa, for example, trace their origins to an exodus that occurred 60,000 years ago. But there had been no evidence of occupation by human relatives in Eurasia until the Dmanisi evidence at 1.8 million years ago. Africa has traditionally been seen as the engine of human evolution – where key species arose before spreading out through the rest of the world. However, some scientists have proposed a more important role in this story for Asia. 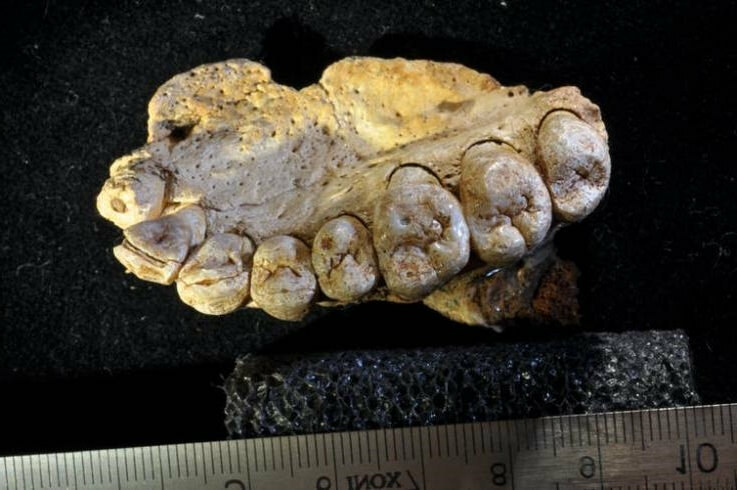 With these new finds, some researchers will wonder how much further back the human story goes in Asia. What prompted humans to leave Africa? Co-author Prof Robin Dennell, from the University of Exeter, UK, said he believes evidence from Ethiopia offers some clues. Early human relatives (hominins) learnt how to produce sharp stone “flakes” around 2.6 million years ago. “That way they acquired a simple but effective tool kit that could strip meat off a carcass before they were chased off by bigger and stronger predators (e.g. lions, hyaena). This opened up a new world for them,” Prof Dennell told BBC News. Could we find even earlier evidence outside Africa? If our ancient relatives were in China by two million years ago, there must be earlier evidence in more westerly parts of Asia, closer to the exit point from Africa. He said the discovery showed Asia was “absolutely fundamental” in human evolution. “We are now moving beyond a Eurocentric view of human evolution in Eurasia: the Asian record for human evolution is proving to be as complex and fascinating as in Europe and Africa,” said Prof Dennell. Did climate change have a role in this? Some 80 artefacts were found in fossil soil that developed in a warm and wet climate. A further 16 tools were found in fossil soil that came from times when it was colder and drier. All in all, the scientists believe humans lived on the Loess Plateau in China for a significant amount of time – from 1.3 to 2.1 million years ago. It’s likely they also survived there under a variety of climatic conditions. Dr Kappelman, from the University of Texas, Austin, wrote: “The hominin dispersal probably occurred under the variable climates of the Pleistocene ice age. Does a migration to higher latitudes suggest the evolution of behavioural adaptations to colder climates? Perhaps. Does this have anything to do with the Indonesian “Hobbit”? Homo floresiensis, dubbed the “Hobbit”, is a tiny, extinct species of human that lived until about 12,000 years ago on the Indonesian island of Flores. One of the adults measured just 1.1m (3.7ft) tall. Many scientists think the Hobbit is a diminutive form of Homo erectus – long thought to be the first human species to leave Africa. Under this scenario, H. erectus arrived on Flores hundreds of thousands of years ago and shrank in size after becoming isolated there. Others point out that aspects of the Hobbit’s anatomy look too primitive for H. erectus to be the ancestor. They wonder whether the Hobbit’s progenitor was an australopithecine – an earlier and more ape-like relative that roamed Africa, but has never been found outside the continent. Robin Dennell said: “My preference is that the makers of the 2.1 Ma (million-year-old) artefacts at Shangchen were a primitive form of Homo (human) – which is not very unlike an australopithecine at that point in time. More interesting fables from the purveyors of the mythical, blind-faith religion of “evolution” which has been disproved beyond the shadow of a doubt by REAL scientists the world over.